Hypnosis is a natural state of mind in which the subconscious mind becomes suggestible to new ideas. Hypnotherapy is the process of using hypnosis by a trained professional to help make positive, desired life style changes. Becoming a hypnotherapist requires a great deal of training, education and experience to master. This state of consciousness has been extensively studied by researchers, scientists, psychiatrists, and medical doctors the world over and is becoming an increasingly credible and effective solution for many areas including: smoking cessation, habit control, anxiety, depression, and clinical issues. 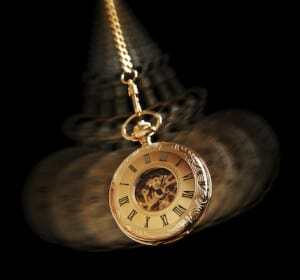 Remember: Hypnotherapy is always quicker than other types of therapy. Hypnotherapy has been recognized by the American Medical Association (AMA) since 1958 and the British Medical Association (BMA) as a field of study. It is taught at Harvard Medical School, Yale, and countless other higher learning institutions around the world. In addition, the U.S. Military and U.S. Olympic athletes use Hypnotherapy to enhance their performances.